Welcome to our new website! We are excited to have this new and updated website with all the latest information on an easy-to-navigate site. Make sure to check out each page--be sure to scroll down so you don't miss anything--we have a lot of information packed into these pages! Thanks for visiting and if you're not yet a member of the FSA, we invite you to join--your membership goes much further than you might think! Yes, your dollars are important, but the number of people registered tells the state and federal agencies just how important access to snowmobiling is to all of us! The Flathead Valley offers some of the most pristine snowmobile riding in Montana with elevations from 2,956 feet in Kalispell to just over 7,000 feet in the surrounding mountains. Bordering Glacier National Park you will witness some of the most spectacular beauty man has ever laid eyes on. This area offers over 200 miles of groomed snowmobile trails to get away from it all. Whether you are looking for deep powder snow, hill climbing, or just good boondocking, you will find it all here. In Kalispell (the biggest small town in Montana), you will find all services and fun a person would want. Columbia Falls, Bigfork, the Swan Valley and Whitefish are neighboring towns that provide you closer stays to the trails you want to ride. Lakes, wildlife and great views of Glacier National Park are just a few experiences you, your family and friends shouldn`t miss. This area also includes Whitefish "Big Mountain" Ski and Summer Resort, cross-country ski trails, ice fishing and much, much more. Come spend your next winter vacation in the Flathead Valley making memories you will have for a lifetime. The Flathead Snowmobile Association is a membership of snowmobilers and outdoor enthusiasts who endeavor to educate the public about the sport of snowmobiling, enhance the riding experience in our area, promote safety, and provide opportunities for family recreation. Make sure to use your Club Discounts! Our Meetings and Events page! Our Gallery of images from members under the Meetings & Events page! You need a Trail Pass! For more info click here! All of our meetings are/will be posted on our calendar which you can see on the Meetings & Events page. A HUGE THANK YOU to all our sponsors, members, friends and family that attended our Pray for Snow Party Nov 17th! It was a huge success and we couldn't have done it without you! We are looking forward to great winter! Farmers Almanac says another epic year of snow! Wahoo! Want to advertise with us? Go to our Sponsor Page to find out how you can get your business listed on all three of our local electronic Trail Treker maps, get ads in our newsletters and have your business listed on our website! Board Elections - were held May 1st. Rick and Tammy David are in the process of freeing up their schedules, but have agreed to help out for another year. Mark Smolen will be taking over as Treasurer and Bryan Landis will be taking over as Vice President! All other positions remained the same--thank you all! Your existing board is listed at the bottom of the Join the FSA page. Groomer Maintenance - We've got most of the work done, but we will have one or two more evenings of putting the tracks back on and getting them out in the field. If you can come and help, we sure would appreciate the extra hands. Stay tuned for the dates here and on Facebook. Saturday May 19th, 6-9PM That's a Braaaaaaap! End of Season Party! Saturday, March 24th we hosted a fun ride with some special people from Flathead Industries. If you ever wanted to feel really good and see some huge smiles, come on out (next year) and help give rides to some folks that wouldn't have a chance to experience a snowmobile ride any other way. Thanks to all the outfitters that donated sleds for us to use and to Les Keller for allowing us to use their farm! And a special thanks to the all the Flathead Industries folks for braving the snow! Make sure to read our March Newsletter! A BIG thank you to Jessica Dyer for all her hard work taking over the newsletter duties!!! Thanks Jess! Saturday, Nov 11th, a HUGE THANK YOU to all the local businesses to so generously donated to our Pray for Snow Party. And a big thank you to everyone that came out to the Silver Bullet, had dinner and fun bidding on all the great donations! You made this event a success--thank you again! We are always trying to promote safety and make sure you have the best information available. Below is the National Avalanche Center's Forecast Map with the Flathead area centered. Hover over the the shaded areas to view the current danger rating or click on the shaded area to view the full advisory. Check out the Backcountry Ascender website for a great and fun way to improve your backcountry knowledge and skills! Brock Bolin our Safety Officer highly recommends this site! 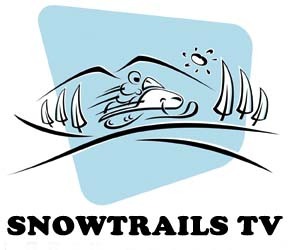 This is the link to SnowTrails TV which just recently aired on Destination America TV. Video Mike did a really great job and we showcase our Canyon Creek Trail and Summit House access on Big Mountain. We filmed in March and the snow was incredible that day! Our section starts at exactly the 8 minute mark in the program (you can skip ahead once you click play). Thanks Mike and the MSA for making this possible! If you have questions or comments about this site or the FSA, please use this contact form.